At Arnold Hearing Centres, we believe in ensuring a personal experience for you or your loved one. Not only do we care for our patients, we provide options and promotions for everyone, no matter their circumstances. C.A.R.E. stands for Creating a Remarkable Experience. All our staff have been empowered to do whatever is necessary to make sure you leave our offices feeling delighted with your experience. We encourage you to let us know if there’s anything we can do better. Ask for a referral card from any of our staff and fill out your information. Give the completed card to a friend/loved one who could benefit from our services. 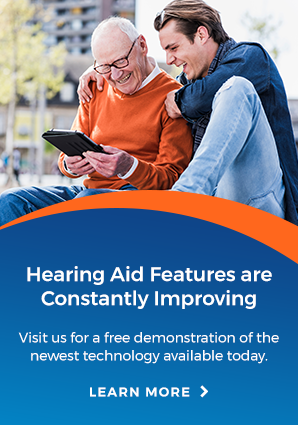 They receive an extra $100 off their hearing aid purchase when they present the referral card. Once their hearing aid purchase is complete, we will send you a $100 Visa gift card! Members of Blue Cross’ Blue Advantage program receive 15% off the cost of the hearing aids plus a three-year supply of batteries with any new hearing aid purchase. As a member of CLAC (Christian Labour Association of Canada), Green Shield Canada, or Spencer Health Network, you qualify for exclusive discounts on Starkey hearing aids. Flexible monthly payment plans that fit your budget.